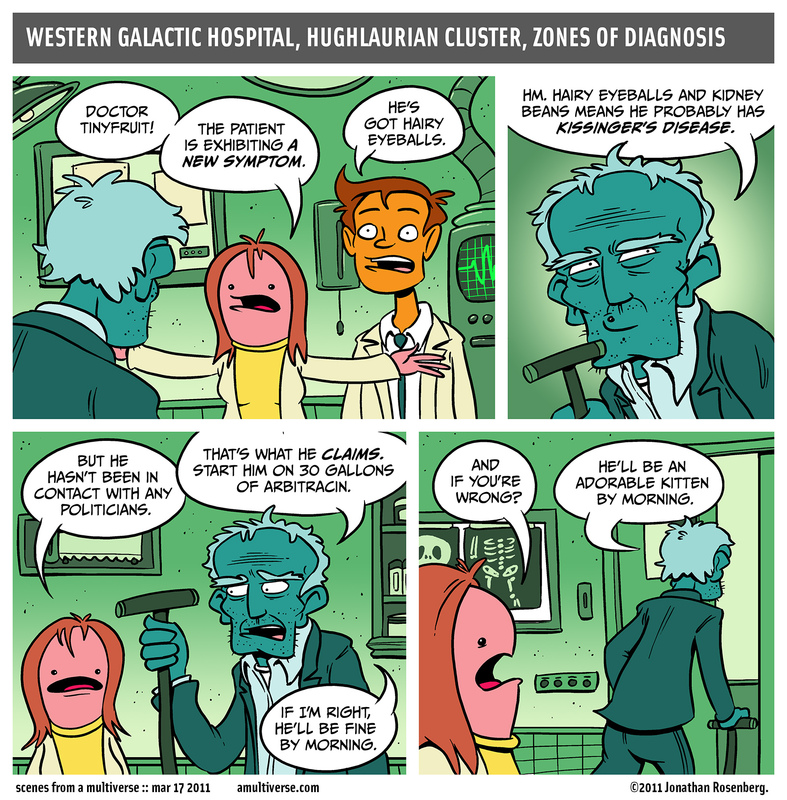 As you might deduce from today’s comic, I’ve been spending a whole lot of time in hospitals lately. My wife had some complications with her pregnancy a few weeks ago and is hospitalized indefinitely, until the babies are delivered. The babies are in stable condition, as is their mother, and we’re coping as best as we can. So I’ve been a bit distracted from comics-making as of late, but I will continue to publish as frequently as I can, probably 2-3 times per week. And I think we’ll run our ‘weekly’ vote once every two weeks while we’re on the diminished schedule. In the meantime, I could certainly use your help! Please feel free to peruse the items in the SFAM store and help support the strip with your purchases. I’ll try to roll out some new items in the coming weeks for you so keep checking back. Thanks!